DOWNLOAD Over 170 R&B Hip-Hop Guitar Loops w/ Free Upload! 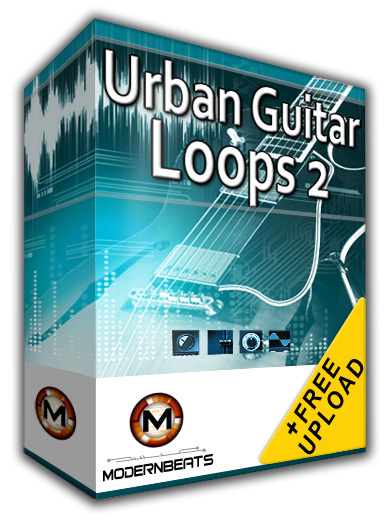 Download Urban Guitar Loops 2 - Featuring over 170 blazin' guitar loops in WAV/AIFF/REX2 formats (522 files total) performed at 92BPM & 102BPM, ModernBeats delivers this pioneering sequel library of the hottest guitar riffs you'll find in R&B Hip-Hop - "Urban Guitar Loops 2"! Volume two captures a vast array of amazing live guitar recordings from one of Hollywood's most renowned urban guitarists BigChris Flores. The set contains both 100% live recordings plus also features platinum-level loop programming reminiscent of modern R&B Hip Hop hits. Guitar styles include the Neptunes, Kanye West, Swizz Beats, Dr. Dre, Timbaland, DJ Premier, Bomb Squad, plus ModernBeats' own signature sound!